1. Watermelon gazpacho. Basil ice. Lime & Crab salad w/ melon caviar. 2. Fried veal sweetbreads. Sweet pea purée. Kimchi. Pork belly lardons. Lardon vinaigrette. 3. Chinese 5 spiced pork belly. Quinoa. Pickled apple & jicama slaw. Brandy apple gastrique. 4. Bay scallop, fire roasted corn & red pepper ceviche sushi roll. Avocado. Toasted sesame seed. Spicy wonton. Korean Chile. Ponzu. 5. Masa fried calamari. Serrano pepper. Fried garlic chips. Pickled shallot. Hoisin Chile garlic sauce. Intermezzo: “Irish mule” Irish whiskey & ginger gelee. Finger lime. 7. Truffles croquette. Lightly smoked beef carpaccio. Caramelized red wine onions. Peppercorn caviar. Fire roasted red pepper coulis. 9. Bacon fat fried cornbread. Maple & honey whipped butter. Andouille sausage ragu. 10. Strawberry butter cake. Lime curd. Mint & strawberry glass. Macerated strawberry. Strawberry rum sorbet. You will be delighted by cuisine that is not only thought-provoking but also pleasing to the palate, all the while being entertained by our gastronomy theater with a front row view of our Chef De Cuisine, Zac Leepper and our Executive Chef, Clayton Danenberger at work. $120/pp includes gratuity, wine pairings. Limited seating. Reservations only. 217-488-6321. Advance purchase ticket required. 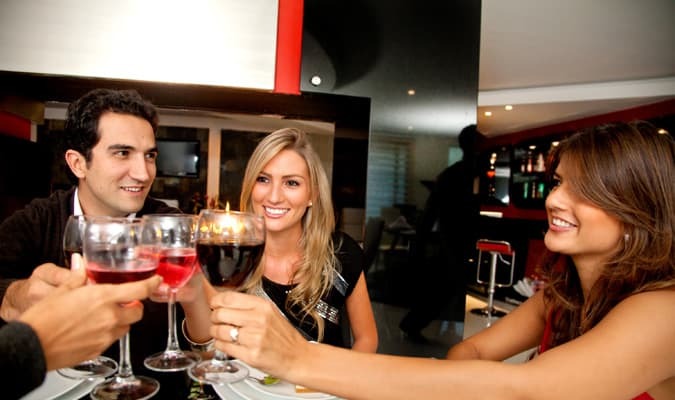 Our goal is to create an inviting, convivial dining environment where our guests can share in the dining experience. The Chef’s Table features an open kitchen visible from the dining tables. The inner kitchen viewpoint can be fascinating since guests at the table can watch the food being prepared and plated, while our chefs communicate with guests about each course. Our guests receive a lot of attention from our staff and our winemaker carefully selects which wines will pair with your experience.